Feeling good and looking good are two extensions of health that go hand in hand. And nothing speaks of this more than good hair health. Thick healthy hair is a fundamental part of your appearance. The manufactures are spending millions of dollars in developing effective hair health products. Ancient herbal traditions have found some amazing botanicals that are backed by scientific research that aid in promoting hair health. Here are four of the most popular herbs that have been used for centuries in traditional Chinese medicines to treat hair loss and promote better hair growth. Also known, as Fo-ti is an herb from Asia. Scientifically known as Polygonum multiflorum, it belongs to the plant family of buckwheat and Japanese knotweed and is used in many traditional healing medicines. Its rich in antioxidants and phytochemicals that reduce free radicals making the hair follicle to regenerate more efficiently leading to thicker and faster growing hair. Its also rich in minerals like zinc, copper, iron and manganese that encourages thickness, strength, and length of hair and even restores hair color when applied topically. Also called “mushroom of immortality” Reishi mushroom has been in use for thousands of years as a healing ancient herb. Packed with antioxidants and anti-inflammatory properties, it helps provide strength to the hair follicles, promotes stimulation making the hair strong and long. Promoting better circulatory system, this herb helps to restore hair color and fight premature graying. Rich in phytosterols, tannins essential fatty acids and vitamin A, burdock root helps to promote hair growth, maintain a healthy scalp and even treat dandruff and other dry scalp conditions like itchy, irritated scalp. Ginseng root has been used for centuries in traditional Chinese medicines. Besides it’s other health benefits, ginseng root is also aids in promoting hair growth. It’s believed to increase the number of dermal papilla cells in the scalp by preventing the natural death of the cells. It also encourages the hair growth by stimulating the scalp in turn strengthening the follicles and roots of the hair. Besides promoting hair growth, it also helps prevent breakage and thinning of the hair. 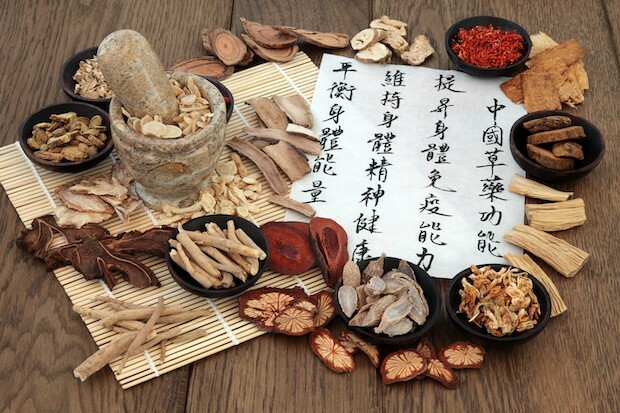 For hundreds of years, these traditional Chinese medicines have been used to treat hair loss and other hair problems. Now these herbs are getting their well-deserved recognition among the scientific world and are therefore widely used in the hair care products.